Bengal gram 50 gms,Dhania 50 dms,Turdal just 20 gms for thickness,Jeera 3o gms,Red chillies 4 to 5 nos,Pepper 30 gms,Asaefoetida 1 pinch. Roast them till medium,grind it in to powder.Preserve it. 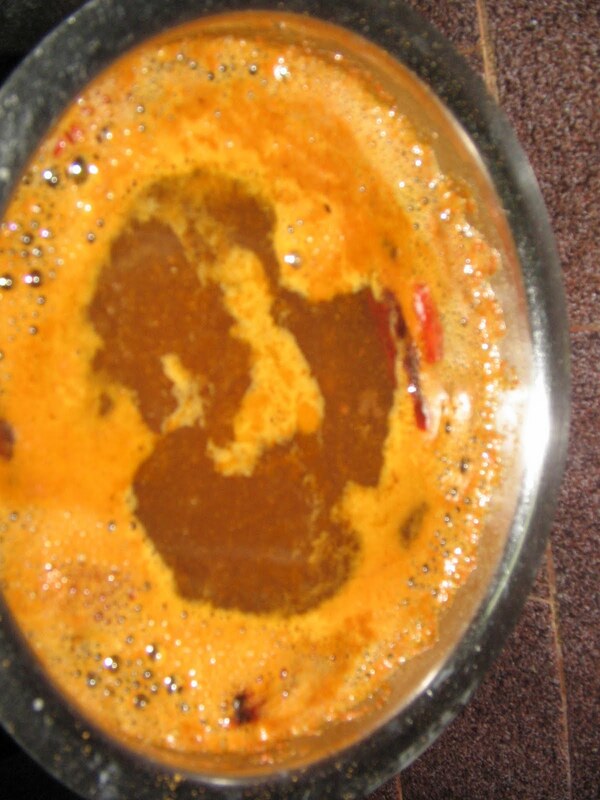 Method for Rasam:Tke a vessel with 2 sp oil,heat it then add 1 sp mustard seeds,fenugreek pinch,2 nos red chillies made into pieces,asaefoetida a pinch, after it splutters add 4 glasses of water in to the vessel.Then add tamarind a size of lime,salt to taste,rasam powder 2 to 3 spoons, also add 1 tomato made in to small pieces,.. When it starts boiling add corriander leaves and curry leaves.Allow it to boil for 20 to 30 mins.